Engine: At Gerald Kia of North Aurora, you can expect our service team to take great care of the engine that’s under your car’s hood. No matter the problem, we’re here to make sure that all of its internals are in great working order. Take a look at the parts that you can expect to be covered: pistons, piston rings, piston pins, crankshaft and main bearings, connecting rods and rod bearings, camshaft and camshaft bearings, cam followers, timing chain belt and timing gears, guides tensioners, rocker arms, rocker shafts, rocker bushings, cylinder head valves, valve guides, valve lifters valve springs, valve seals, valve retainers, valve seats, push rods, water pump, oil pump oil pump housing, harmonic balancer, oil pan, flywheel, flexplate, timing chain cover, intake and exhaust manifolds, valve covers, engine mounts, engine block, and cylinder heads. Transmission: No car owner wants to hear that their vehicle’s transmission is having problems. Fortunately, our exclusive warranty covers all of your transmission’s lubricated parts plus its torque converter, vacuum modulator, electronic shift control unity, transmission cooler, transmission mounts, transmission case and housing (if damaged by an internally lubricated part) and transfer case and all its internally lubricated parts. Drive Axle: We understand how much our customers value owning a car that’s able to provide a smooth driving experience. That’s why, when it comes to internally lubricated parts such as the drive axle case, locking hubs, drive shafts, universal joints, constant velocity joints, axle bearings, 4-wheel drive actuator, differential cover, and drive axle housing (if damaged by an internally lubricated part), our team has got you covered. 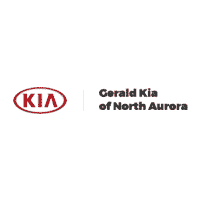 At Gerald Kia of North Aurora, we want to give our Aurora, Naperville, Elgin, Schaumburg area customers added peace of mind when they shop with us. If you would like to learn more about our exclusive lifetime warranty, or if you’re interested in learning more about what our team can do for you, we invite you to swing by our showroom in North Aurora, IL to meet with a member of our team.